The Parish Council started the journey to create a Neighbourhood Plan in November 2013 and after extensive consultation, lots of re-writes and examination by an external planner, the Neighbourhood Plan went to public referendum as part of the election on 3rd May 2018. The Parish Council recommended that residents vote in favour of this, so when 47% of Burley voted on the day, 82% were in favour of adopting the Neighbourhood Plan. But what does that really mean for Burley? It means two things: more planning influence, and more money. There are many planning policies that developers need to abide by when considering an application for planning permission. The Neighbourhood Plan is Burley’s own planning policy document, and although it has to conform to the wider Bradford Council strategy, it lays down clear standards and objectives which will serve to make Burley a better place to live in, and which developers cannot ignore. The Parish Council can also challenge applications that are not in keeping with the Neighbourhood Plan. The Community Infrastructure Levy (CIL) is a tax that is charged on the majority of new homes, to support investment in infrastructure like roads and schools etc. Without a Neighbourhood Plan the Parish Council would have received 15% of the CIL for local infrastructure needs, with 85% being retained by Bradford Council. However with a Neighbourhood Plan the Parish Council receives 25% - all which will be spent in Burley. Our vision is to ensure that Burley will retain the green belt surrounding our border. Clearly a number of potential housing sites in Bradford District are within the existing Green Belt and consequently, there is a requirement for a district wide Green Belt review. The setting of Green Beltboundaries is a strategic planning policy matter and as such resides with Bradford Council. 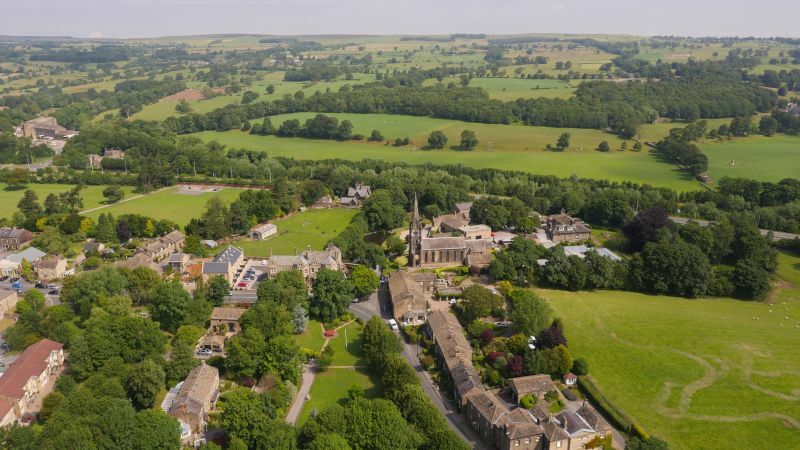 Whilst we want to plan for more new homes and jobs, the Neighbourhood Plan also aims to protect openspaces and preserve the natural heritage of the area. Althoughredevelopment may be acceptable on some sites with the village, theNeighbourhood Plan does not want to see the loss of the things that make the villagespecial, such as key open spaces.